GT Electronic India offers a wide range of power transformers, designed to grant the reliability, durability and efficiency required in industrial and commercial applications. 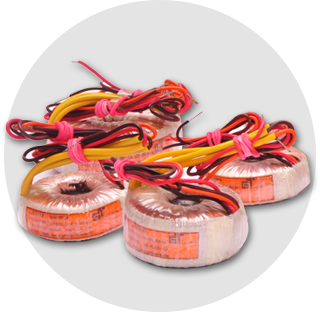 GT Electronic India offers 50/60Hz flat design and high quality PCB mountable toroidal transformers. 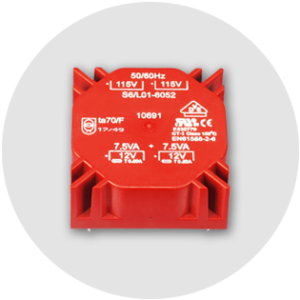 These transformers are intended for 115V or 230V @ 50/60Hz applications. Our transformers meet UL 1950, VDE and EN60950. 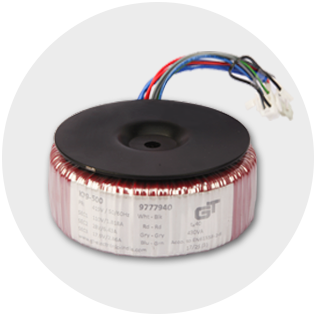 GT Electronic India offers 50/60Hz flat design and high quality miniature toroidal transformers. These transformers are intended for 115V or 230V @ 50/60 Hz applications. Our transformers meet UL 1950, VDE and EN60950. These transformers are used in various applications like medical equipment, video monitors and motor control, audio equipment and office machines. GT Electronic India is your specialist for customized toroidal power transformers up to 1 KVA with different input and output voltages.